Laser hair removal treatment was introduced 15 years ago and has significantly advanced in the past 8-10 years. It is a popular cosmetic procedure that gives you smooth and silky skin. The process removes unwanted hair growth in various regions of the body without pain. This treatment is widely used and recognised as one of the best permanent hair reduction therapies. 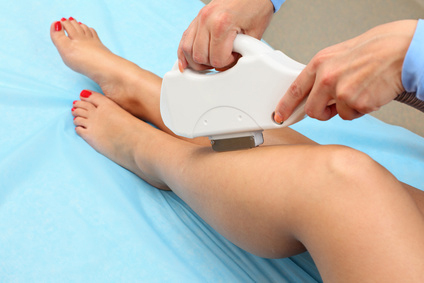 The efficiency of the laser hair removal process is accepted by dermatologists and is practised in many clinics. A handy home laser device has also been launched for the people who do self-treatment although for best results professional machines at a clinic or spa are best. What is the mechanism of laser light on the skin? An exposure of a fine ray of laser light on the skin targets the hair follicle and destroys it with minimal discomfort and thus helps in hair reduction. The laser light travels through the skin, attracted by the skin pigment in the hair shaft and hair follicle. Laser therapy is based on photo thermolysis in which the light is absorbed by pigmented areas. By frequent exposure to heat and energy from the laser light, the hair follicle gets impaired for stimulating the hair growth. With time, the hair follicle begins to fail, resulting in smoother skin. What to expect from the laser hair removing treatment? We have trained and experienced cosmetologists who perform laser hair removal. They completely take care of your skin and helps you to feel beautiful producing a smooth skin tone that you will love it. Call us on 020 8340 8069 for further details.